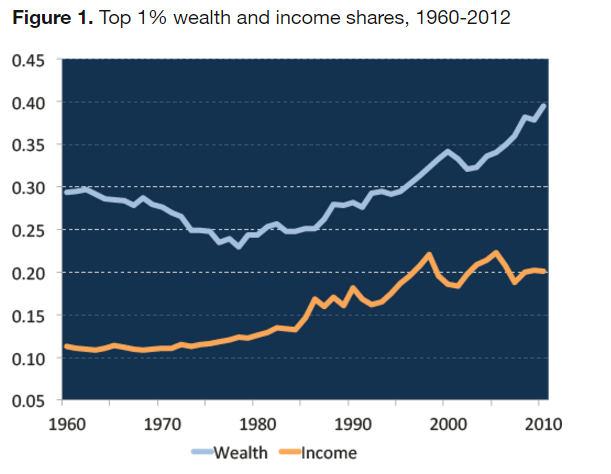 Scooper - Technology News: Does inequality make recessions worse? Does inequality make recessions worse? In a recent poll of prominent economists , the IGM Forum at the University of Chicago Booth School of Business asked about the effects of unconventional U.S. monetary policy on the level of income inequality in the country. The respondents weren’t very confident in their answers, but the question is a sign of interest in the relationship between inequality and macroeconomic performance. Policymakers and economists often investigate about how growth and recessions affect inequality, but are also increasingly wondering about how inequality might affect growth and stability. One of the most interesting areas of research in this vein, however, explores how income and wealth inequality might shape recessions. Two new papers offer interesting investigations into this question. The first paper is a National Bureau of Economic Research working paper, “Microeconomics and Household Heterogeneity,” which was released earlier this week by economists Dirk Krueger of the University of Pennsylvania, Kurt Mitman of Stockholm University and Fabrizio Perri of the Federal Reserve Bank of Minneapolis. The paper, as you can guess from the title, focuses on how differences among households affect the macroeconomy. To be clear, the paper doesn’t try to understand if inequality causes recessions, but rather how much worse does a recession get when wealth inequality is high. According to the model built by Krueger, Mitman, and Perri, higher levels of inequality result in more severe economic downturns. When there are more households with no net worth then the response of households to the shock of a recession is more acute as these households pull back significantly on consumption. This means that the level of wealth held by those at the bottom at the income spectrum may matter greatly when a recession occurs. The second working paper is from economist Jeffery Thompson of the Board of Governors of the Federal Reserve System. He doesn’t directly explore the impact of economic inequality on recessions but rather how income inequality specifically can set up the conditions that affect recessions. The paper looks at how income inequality might affect the amount of household borrowing, focusing on borrowing levels in different U.S. states. Some papers hypothesize that “keeping up with the Jones” might mean that higher levels of wealth and income inequality cause more borrowing by households not on the top rungs of society. Thompson’s paper finds some suggestive evidence for this hypothesis, identifying a strong correlation between higher incomes among the top 5 percent of income earners at the state level and increasing mortgage borrowing. This increased mortgage exposure can have consequences as economic research already shows that increased household debt can significantly affect the macroeconomy. The two papers, side by side, tell different stories. The first paper argues that wealth inequality may determine the severity of a recession. The second shows how income inequality might affect the borrowing of the broader population, which may affect the fragility of the economy. But these stories are probably not the only possible ones in this area. So while these papers are a good sign for policymakers and academics interested in the potential effects of inequality on economic stability, clearly more research in this area is needed.